Take time out from the hectic pace of the world and slow life right down, listen to the magical rhythms of the calypso bands, enjoy freshly caught seafood and savour this charming country with its rich tranquility and tropical atmosphere. 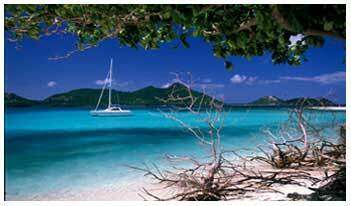 Grenada and the Grenadines enjoy a pleasant sunny tropical climate all year round with temperatures of 24° C (75°F) to 33°C (91°F). 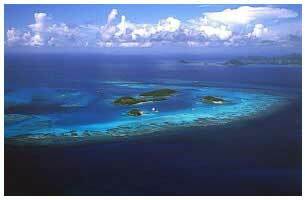 The climate varies between the islands, as the Northern Grenadines are slightly cooler than Grenada and the Southern Grenadines. November to February are the winter months and being close to the equator these months have warm temperatures normally in the high 70s. The dry season runs approximately from January to May with steady temperatures and glorious sunshine. The islands are situated on the southern edge of the hurricane belt with the summer being the rainy season, lasting from June until the beginning of November. Wind conditions are very favorable for sailors. Steady warm trade winds produce 10-20 knot winds from the south east in the summer months and slightly more challenging winds from the northeast during winter. Winds can be higher when sailing in between islands. Good anchorages and moorings are available if the weather takes a turn for the worst but generally you can expect beautiful sailing conditions.